Discuss scope and development of ecology. Write note on quality of light. Give classification of plants on the basis of light. Describe different ecophyiological responses of light. Give temperature classification of plants. Give ecophyiological role of temperature. 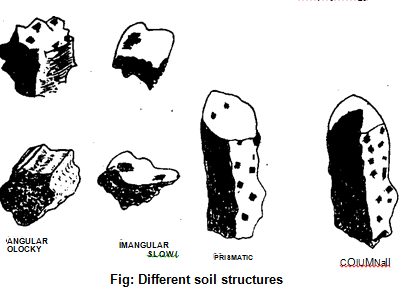 Describe process of soil formation. Write note soil profile and soil structure. Write note on soil water. Write note on organic matter in soil. Give classification of plants on the basis of moisture. What is visible spectrum? What colours are included in it? Ans: The waves of visible spectrum bring most of the energy on the earth. It includes the wavelength between 400-750 millimicrons. Visible spectrum is divided into seven colours. These colours are red, orange, yellow. green, blue and violet. 2 What is invisible spectrum? What are its two types? Ans: It has two parts: The wavelengths below 400 are called ultraviolet rays. Most Qf these ultraviolet rays are filtered by the ozone layers. The wavelength above 750 rnillimicrons is called infra red rays. These waves pas most of heat to the earth. Differentiate between heliophytes and sciophytes? Ans: The plants which grow best in full sunlight are called heliophytes. The plants which grow best at lower light intensities are called sciophytes. 4 What are Facultative Sciophytes? 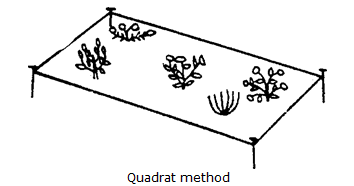 Ans: The plants which grow best in sun but can also grow fairly well under shade are called facultative sciophytes. 5 What are Facultative Heliophytes? Ans: The plants which although grow best at lower light intensities but can also grow well in full sunlight are called facultative heliophytes. 6 What are ill effects of low temperature on plant? Ans: Low temperature causes cold injuries. Water is frozen into ice crystals in the intercellular spaces. It causes injury to cells. 7 What are the effects of high temperature on plant? Ans: Extremely high temperature cause adverse effects on a number of vital physiological processes like respiration, transpiration, protein metabolism etc. These effects cause stunting and finally death of plants. This is called as Heat Injury. Ans: It includes plants of Arctic and Alpine regions (above 16000 teat in tropics and 12000 feet in temperate) with very low temperature. Alpine vegetation prevails in such locality. 9 How does temperature affect in the spreading of diseases? Ans Temperature and humidity affects the spread of plant diseases. Low temperature along with high humidity favours the attack of rust, damping off, seedling blight. foot rot and root rot. 10 What is soil? Name its components. Ans: The weathered layer of the earth crust is called soil. Typically soil is made up of parent material. Organic matter and living organisms incorporate into it. The spaces remaining between the solid particles are filled with water and gases. 11 What is chemical weathering? Avis: Chemical process of weathering consists of hydrolysis, carbonation and hydration. It converts certain minerals into soluble derivatives. They are then dissolved away from the rocks. 12 What is soil texture? how it is formed?Ans: Relative proportion of the soil particles size is known as soil texture. The process of weathering forms the texture of soil. 13 What is coarse sand? What are its disadvantages? Ans: The size of particles of coarse sand is 2.0— 0.2 mm. Thus it has large sand particles. Large pore spaces are present between them. It has good aeration. It is useful for the plants. But excessive drainage occurs in it. It causes deficiency of soil nutrients. 14 What are flocculation and deflocculation? Ans: This process of crumb formation of clay is called flocculation. But certain minerals like sodium reverse this effect. It causes dispersion of crumbs. ‘Ibis process is known as deflocculation. Ans: A soil in which the sand, silt and clay –particles are present more or less in equal proportion is called loam. A loam soil with predominant clay particles is called clay loam. Ans: Piety: In this case, all the soil particles are arranged in a horizontal manner. They form small flat plate like structures. It is mostly present in virgin soils. 17 What is Run away water? 18 What is field capacity of soil? 19 What is hygroscopic water? Ans: Water adsorbed on the surface of soil colloids is called hygroscopic water. It is tightly held by soil. It forms .very thin films. It is non-available to the plant. 20 What is wilting coefficient or permanent wilting point? Ans: The amount of moisture left in the soil after a plant has permanently wilt is called wilting coefficient. 21 Give two functions of humus. Ans: It improves the physiological conditions of the soil. It improves both clay and light sandy soils. It makes the clay soil light. It increases the water holding capacity of the sandy soil. 22 What are humus and humification,?Ans: The dark coloured amorphous substance formed by the partial decay of dead animals and plants is called humus. The process of humus formation is called humification. 23 What is lodging? In which plants does it occur? Ans: Violent winds cause flattening of the herbaceous plants to the ground. It is called lodging. It takes place in herbaceous and weak stemmed plants like grasses, maize, wheat, corn, sugar­cane etc.